Previous studies have shown that obese people report more frequent cravings than lean individuals—but researchers have determined that imagining the smell of your favorite foods can exacerbate cravings. A recent study conducted by researchers from the John B. Pierce Laboratory and Yale School of Medicine evaluated whether imagery ability is greater among individuals with a higher body mass index (BMI). The initial study included 25 participants who were asked to rate their mental imagery abilities. Participants each filled out three questionnaires to determine their vividness of visual imagery, olfactory imagery, and food imagery. They also completed a measure of craving. For each question, participants were asked to vividly imagine specific scenarios and rate the vividness of their image on a scale from one to five. Researchers discovered that participants with higher BMIs were more likely to perceive what it was like to smell and consume the foods. Furthermore, sense of smell was the greatest indicator of obesity. A second experiment was conducted in a sample of 57 participants. This secondary study confirmed the initial results that there is a link between obesity and a heightened sense of perceived smell. 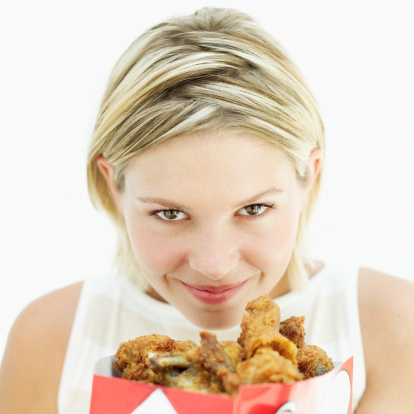 Those with heightened ability to vividly imagine food tend to report more frequent food cravings. Researchers hope this study will provide a platform to develop cognitive behavioral therapy techniques that address sense of smell in curbing food cravings. They conclude that future research should channel into whether imagery ability precedes or follows weight gain. Lees, K., “Obesity and aroma: people weigh more when they imagine food smells,” Science World Report web site, July 8, 2015; http://www.scienceworldreport.com/articles/27584/20150708/aroma-and-obesity-people-weigh-more-when-they-imagine-food-smells.htm. Patel, B.P., “Greater perceived ability to form vivid mental images in individuals with high compared to low BMI,” Appetite 2015; 91(2015):185-189.